Eat: Any day that starts with decadent homemade maple biscuits or cinnamon rolls from August First Bakery in this college town that’s home to the University of Vermont will be a good one. Follow that with an Irish lunch at Ri Ra Irish Pub and end with juicy burgers at local farm-to-table gastropub Farmhouse Tap and Grill, which also features 30 taps of locally brewed craft beer. 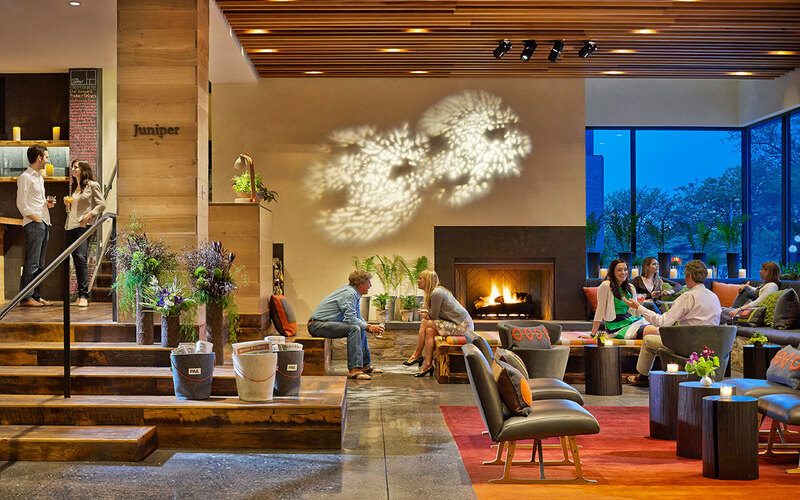 Stay: Hotel Vermont is a one-of-a kind indie hotel perched right near the city’s vibrant waterfront district which means easy strolls (or bike rides—the hotel has bikes at the ready) along Lake Champlain. Rooms feature local art, comfy beds and eclectic rustic décor—floor by floor espresso machines add to the only-in-Vermont feel. Play: The Church Street Marketplace is a must see as this open air mall—created in 1981—features over 100 places to shop and dine along with live music and street performers ready to delight the whole family. Plan to stay on a Saturday to experience a bountiful farmer’s market, a year-round market in City Hall Park located right downtown that features exceptional local produce, crafts items and the chance to chat with growers and farmers from the region. Eat: A walk along Saint-Laurent Boulevard aka ‘The Main’ in this ultra-sophisticated Canadian (though Parisian in feel) city is a must for an overwhelming variety of food hailing from all over the world. Got poutine, the local delicacy—aka fries topped with cheese curds and gravy—on your mind? Try it out at Schwartz’s, a deli that has dished out poutine and smoked meat sandwiches since 1928 (Note: The lines can be long here but there’s a take-out line with stools in back if you can’t stand to wait for waiter service). Sample Montreal’s famous bagels at Fairmount, which has been rolling (and then boiling) these delicacies by hand since 1919, or just pick up croissants at the many patisseries in this city and get ready to taste pastries that will rival those you’ll find in Paris. 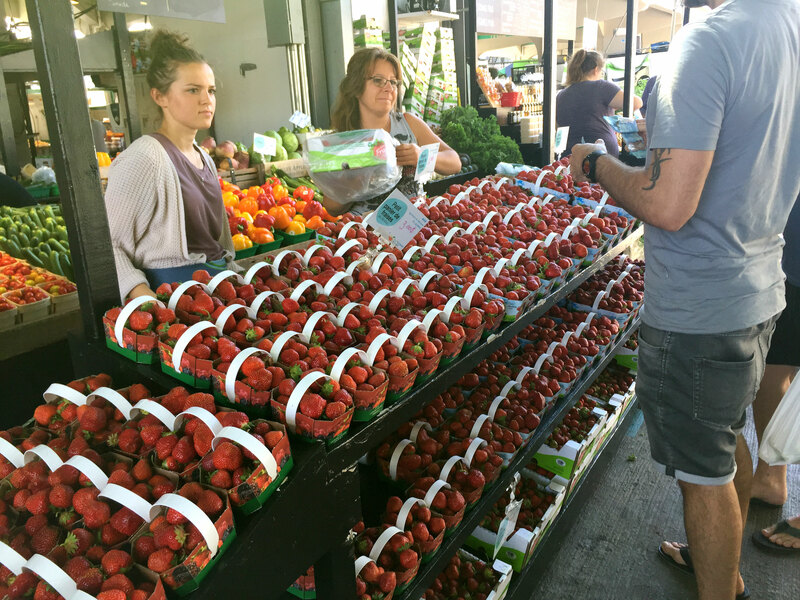 If you want to experience the ultimate in Canadian produce bounty, head to Little Italy and wile away a few hours at the Jean-Talon Market, which features fruits and veggies along with cafes and specialty shops selling spices, oils and cheeses. Stay: Delta Hotels, a Marriott property, is a pet-friendly hotel tucked right in the heart of downtown Montreal within walking distance to Old Montreal and McGill University offering soaring skyline views, proximity to the metro and chic rooms to retreat to after a long day of touring and tasting. Play: There’s so much to do in this very bustling city. One must: An exploration of Old Montreal, with its cobblestone streets, artisans’ boutiques, cafes—all housed in gracious 18th– and 19th-century buildings. Everywhere you go, the downtown neighborhoods will stun with its study in contrast—skyscrapers nestle with Victorian mansions, boutiques and neo-Gothic churches. There’s even an underground pedestrian network—locals call it RESO—a network of walkways underground with over 2,000 shops and restaurants. Climbing to the top of Mount Royal, the highest point in the city, is a fave for visitors and the Contemporary Art Museum and Museum of Fine Arts are well worth the stop-in, too. Eat: Grab a sandwich to go at the Woodstock Farmers’ Market, which also features homemade desserts and locally brewed Vermont coffee blends. Enjoy that picnic along the banks of the town’s picturesque Ottauquechee River. For memorable meals featuring locally sourced ingredients, reserve a table at The Red Rooster, an award-winning restaurant in the Woodstock Inn & Resort, which captures the essence of Vermont in its dishes that emphasize fresh, local ingredients, or the 506 Bistro, located in the 506 On the River Inn, which serves a simple, seasonal menu highlighted by the best of the best Vermont ingredients. Stay: The Woodstock Inn & Resort is a world-class luxury resort right in town that has every detail down, from mint water at check-in to homemade cookies served daily. You’re bound to want to stay for days, especially with the resort’s gorgeous outdoor pool, award-winning spa, sunny spots to linger over coffee and well-stocked game room. 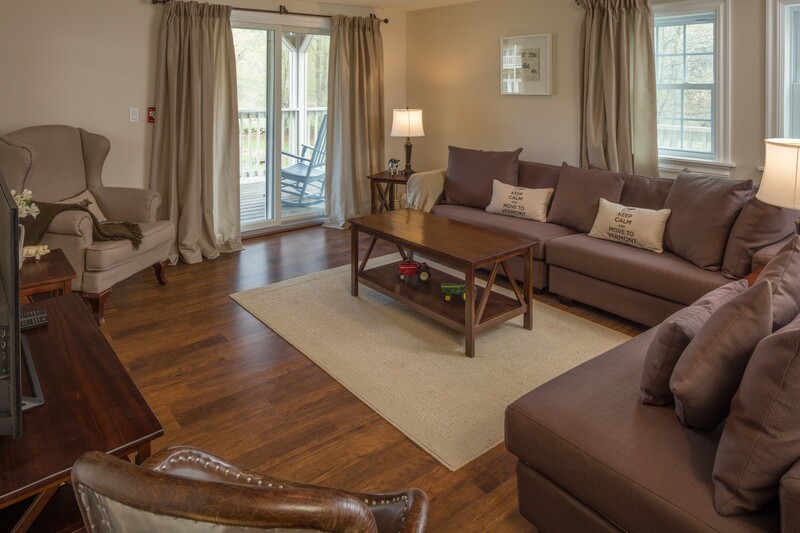 Right down the road is the 506 On the River Inn, a family-owned boutique inn right on the Ottauquechee River. With just 30 rooms, this inn pays homage to Woodstock with décor including original vintage Woodstock newspapers dating back to 1803, old milk crates used as coffee tables and a sophisticated country kitchen serving a classic Vermont breakfast complete with maple syrup from the family farm. Play: When in Woodstock, it’s a must to visit the Billings Farm & Museum, a fully operating dairy farm and a museum of Vermont’s rural past. This meticulously restored 1890 farmhouse offers something from everyone, including cheddar tastings and a meet and greet with the farm’s award-winning Jersey dairy cows. 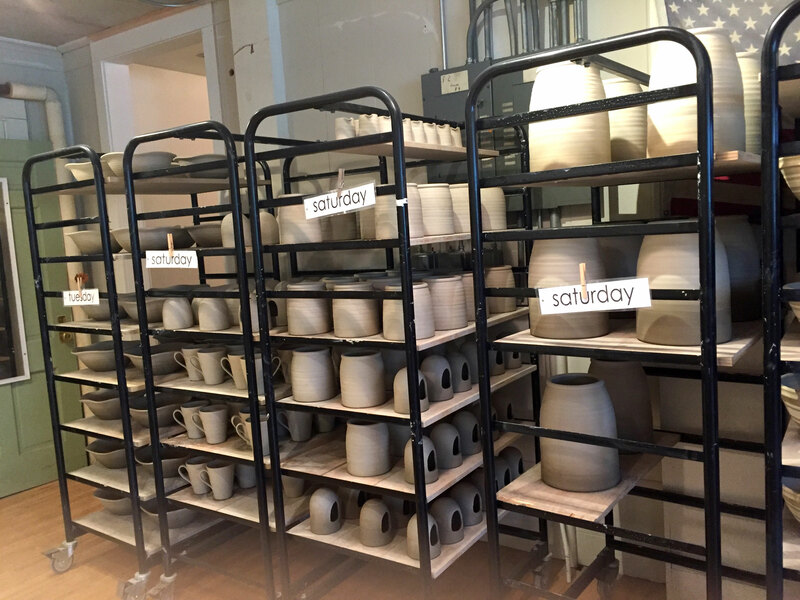 Another fascinating stop: A walk through Farmhouse Pottery, an entirely made-in-the-USA pottery studio where visitors can watch pottery being made and glazed in a ‘modern farmhouse aesthetic’—and shop for a piece or two, too.